I don't know why Manny Pacquiao is favored against bradley in this coming fight. Manny Pacquiao is a dead man. bradley is not human, bradley is a super sayan. Mag basa muna po bago humusga. 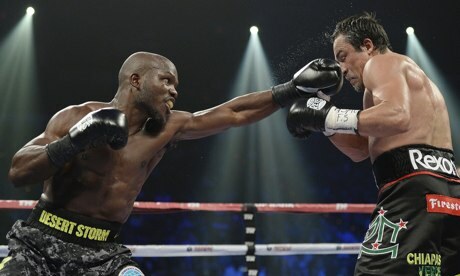 Bradley will win no doubt in my opinion. UD. Pacquiao will going to have a hard time catching Tim. and butter of Bradley in winning every round. so ibig mo sabihin kaliwete din si Tim Bradley? hehehehe very intelligent opinion,ito ba sinasabi mong right jab ? First, Pacland is dead. Now, Manny Pacquiao is a dead man. This site is stinks. Your the stinky one, read it again lousy! Who did you say is a Dead Man ?